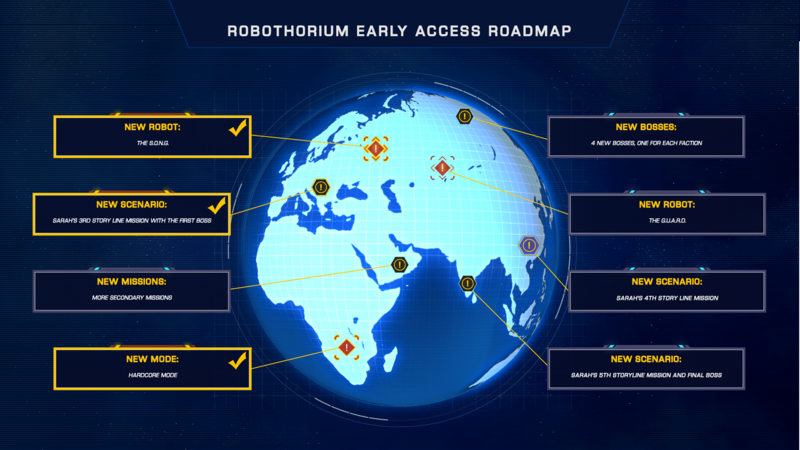 Post news Report RSS	Robothorium - Many major updates are on their way! During this summer, we have implemented tons of new features (Cf Roadmap), but it’s nothing compared to what will arrive really soon! 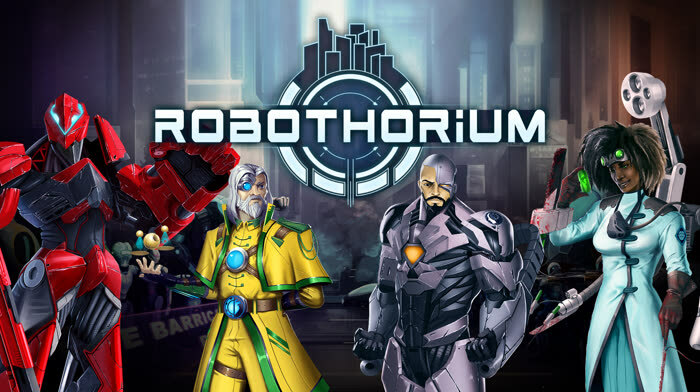 It’s time for our 9th Open development issue about Robothorium. Our weekly rendez-vous where you can see what we are working on, future updates and pretty much everything we have in mind. Many major updates are on their way!!! You will have access to the final missions of each of the 4 factions, offering you the outcome of their stories with epic boss fights. What will emerge from your uprising? It’s all up to you, dear A.I.s! 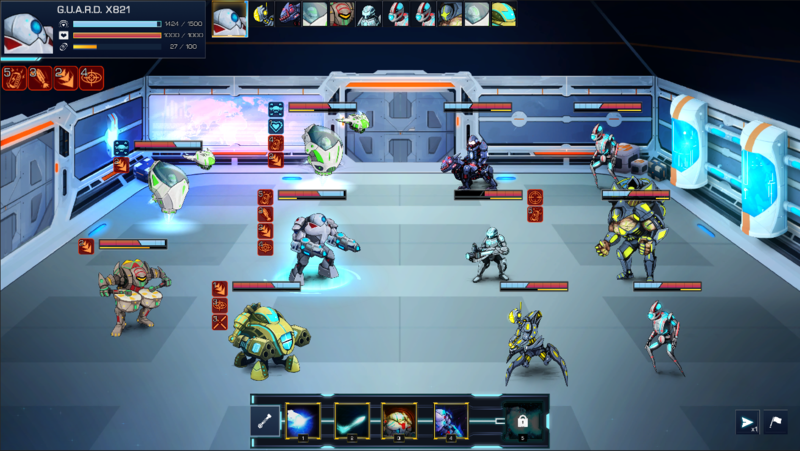 Last month, we’ve released a new robot, the S.O.N.G., with a gameplay based on the Overload. We’ve been teasing you with another one for a while now, the G.U.A.R.D., a huge meca coming from the British factories. I can’t say too much about this unit for now because I don’t want to ruin the fun, but what I can say is that his gameplay is based on Shield management ^^.